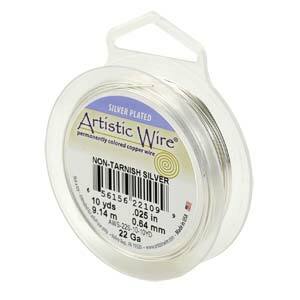 0.3mm (28 Gauge) and 0.4mm (2g gauge)- very fine wireNot plastic coated, this is permanently colored copper wire - all colours are metallic. Please select from the options below. 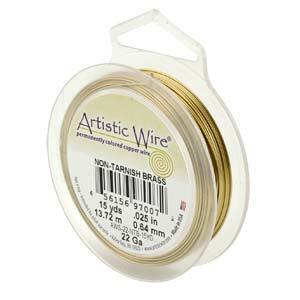 30yds (approximately 27.4 metres) spool of non-tarnish Artistic wire, antique brass (brown). 26ga is approx. 0.4mm thick. 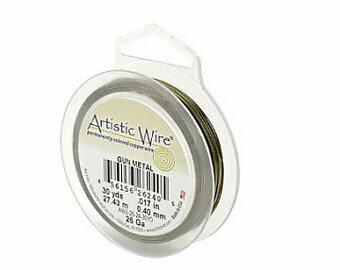 15yds (approximately 13.7 metres) spool of non-tarnish Artistic wire, antique brass (brown). 28ga is approx. 0.3mm thick.